Fast and beautiful, fully customizable. It's been sometime since I've reviewed a keyboard for Co-Optimus, with my last official review actually being the one I'm reviewing today's predecessor. But since that time I had fully switched to a Razer Black Widow Chroma that served me well for a number of years. But like my SteelSeries mouse impressions piece stated, the software and glitches became too numerous to stay invested in the Razer ecosystem so I dove in headfirst to an all SteelSeries lineup. The final piece of that puzzle is the SteelSeries Apex M750 RGB mechanical gaming keyboard. 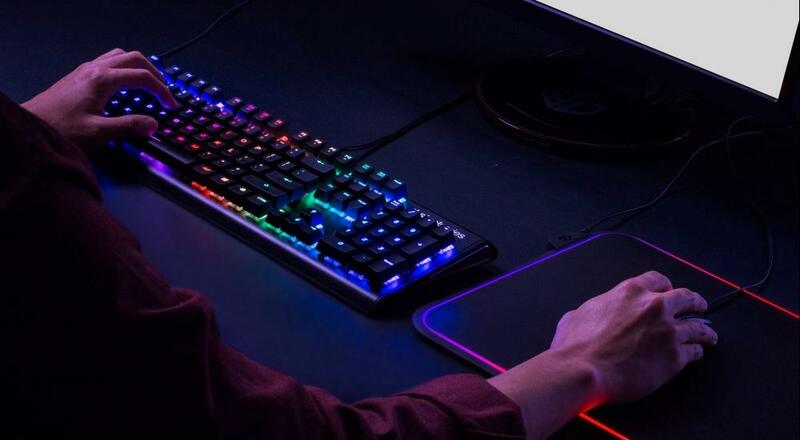 The SteelSeries Apex M750 is a standard size mechanical keyboard utilizing SteelSeries QX2 Linear Mechanical RGB switches. While these aren't the same as the Cherry branded switches we find in a lot of keyboards today, they perform on par with them. The 2MM actuation point matches Cherry's Red switches for performance. In terms of actuation force; the 45cN of force is required to register a keypress is also on par. What does that mean? Basically anything more than a "tap" will register as a keypress. The Apex M750 keyboard is blisteringly fast for both typing and gaming. Design wise you have a no frills layout with USB ports and media control keys absent. Instead the beauty of the RGB lighting is shown off with what is perhaps the smoothest and slickest looking lighting effects I've ever seen. It's absolutely gorgeous in motion. You can customize these with up to 10 different styles built in, or create your own easily with the SteelSeries software. You can even upload a simple animated GIF and the software will turn it onto the keyboard. In the end, I stuck with the "Wave" effect and added on reactive keys. The software also adds the ability to program macros, rebind keys, and even disable keys at a whim - no annoying windows key in games! All of these can be set on a per game basis, including the illumination effects. Finally the SteelSeries Engine allows for adjustments in the polling rate of the keyboard to find tune performance. Overall the SteelSeries Engine shines like it did with the Rival mouse, allowing simplicity, customization, and powerful utilities. I put the M750 up against another big mechanical keyboard on the market, the Corsair K70 MK.2 with Cherry Red switches. For many the K70 and bigger K90 are the cream of the keyboard crop. In terms of comparison, I felt like the K70 was just a hair slower. I tried to capture it on camera but it's so minute that the 120FPS wasn't enough to tell the difference. Both keyboards felt solid, though the M750 has a slight wobble on the keys. In terms of comfort the K70 came with a nice wrist wrest the M750 is lacking. In the end, I felt there was no discernible difference between these two, so it came down to the software. SteelSeries was the clear winner here. I set up a few profiles for the keyboard - namely for Destiny 2 and Fortnite. 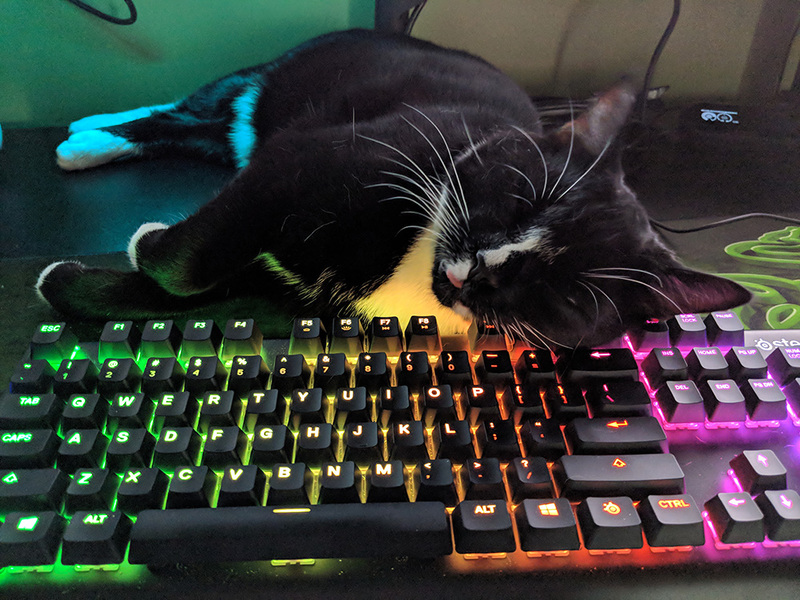 Ironically the day I received the keyboard is the day I won my first Fortnite match - so I knew it was going to be a keeper. Honestly there's not much to say - I played everything from FPS games to strategy and never felt like I was fighting keyboard performance. The MSRP on the SteelSeries Apex M750 is $139.99, though right now you can snag it for just over $100. For this price, almost a full $70 cheaper than the Corsair K70, it's a no brainer. Software, performance, and style have made this my new keyboard for, hopefully, the next few years. It also makes a good cat pillow.